Buying a used car can be intimidating. It’s difficult to really know what a vehicle has been through, ans it’s impossible to predict the problems you may encounter down the road. Launched in 1996, the Toyota Certification process was carefully designed with the customer in mind. The same standards apply, from the 160-point inspection list to the age of the vehicle, to the available financing terms, no matter which of the 1400 Toyota dealers you choose in the United States and Canada. Financing a Certified Pre-owned Toyota is easy with the assistance of Toyota Financial Services. If you are on the fence about whether to buy or lease a Toyota vehicle, check out the TFS quiz to help you make the right choice. All Certified Pre-owned Toyota vehicles have the same financing as new Toyota vehicles. Much is dependent on the buyer’s credit score, down payment, and desired monthly payment amount. At South Dade Toyota of Homestead, our financing department can help you understand your choices. For a quick look at a hypothetical payment scenario, check out the convenient payment estimator. Toyota has sold over three million Toyota Certified Used Vehicles since the program began. 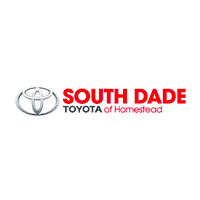 Check out the existing inventory at South Dade Toyota of Homestead, or contact us to schedule a test drive. 0 comment(s) so far on What is a Certified Pre-owned Toyota?